Palpad is now open again. Feel free to palpad me! No, Sebastian, my ditto, is not for sale. Don't ask. Don't demand I sell. He was a gift from a friend. No, you may not borrow him either. Please, don't palpad me begging(asking to buy or sell me things counts too) for anything. Interactions exchanges, PD, pokemon, nuggets, anything. If I have something for sale, I'll make a post of it. (The exceptions are the pokemon in my for trade box.) I have worked hard for it and don't appreciate being asked to just give it to someone because they ask. Also note that if you ignore this, it seems only fair to ignore you. I can and most likely will, ignore your begging. If you send me a random friend request and I don't add you to my friends list right away, this is because I would like to get to know you first. Try sending me a Pm or a palpad! I don't bite! I LOVE to read so if you have a great book series you've read, please let me know! Or if you're looking for a good series to loose yourself in, feel free to PalPad me. Thunderstorm happened tonight while I was at work and I love it when that happens! The metal roof makes it sound so pretty! And on Thor's day too! Bright spot to a roller coaster of a week! To anyone interested, I think the interview went well! I was asked if I would be interested in a second interview in two weeks. Of course I am. So crossing my fingers on that. Time for the job interview! Feeling good about this. I decided to stop talking about getting out of retail and do something! So i applied to a local place where I can help people and is much better pay and hour wise then my current job. Got an immediate response and now have a job interview for Monday!!! Gods I hope this goes well! So...I really like helping people. I give them the benifit of the doubt and genuinely enjoy my job. At least, I did when I started. Now? I feel completely drained. I am so, so done with the people who think they are smart or cool for destroying, cheating the system or stealing from stores. Absolutely done with those who are rude and disrespectful. I am leaving retail. I need out before it crushes my soul. I love my regulars though. And the absolute amazing people I work with! I will miss them. But I need away from this soul sucking job. It's been less then a hundred eggs since my shiny mega hatched yet suddenly a ton of shinies hatched. Four boys and only one girl. Perhaps I should go with the king arthur name for him and make all the following boys his knights of the round table. Name suggestions? So far all i have is d'Artagnan. Something that sounds knightly, please! It took 13,925 eggs, two basically a month shy of three years, but he finally hatched! Not a female, but her white Knight, hopefully? I'm just so happy to finally get one! Mind feeding him? SOMEONE PLEASE CONFIRM I AM NOT CRAZY AND THIS HORRID HUNT ACTUALLY PRODUCED HIM!!! Someone else see the star and bubble too! I have so many books at this point that ads for books on my social media are for books I've not only bought but read. I love my books. I have invested in some beautiful book marks and have four book cases overflowing with physical books. One is just for books I have to read still. Yet I still buy kindle books. Sometimes it's cheaper and it is definitely easier to pull out my phone to read over a book. That being said, i still love my books. But here are some of the silly things I find myself doing: using randome flat things that are definitely not bookmarks as bookmarks such as tags, clean tissues, receipts, and envelops; taking books to places even though i know i will not get a chance to read, but wanting the book just in case or even bringing two in case i finish the first; pressing my finger to the page over a word in an attempt to get the definition even though it is paperback and not digital; stacking a foot or more worth of books next to my bed as if i will finish them all in a week, turning off my light as if i can possibly read paper backs in the dark like i can with my kindle. Send help. Any second now, one of these eggs just has to hatch shiny mega right? I'm like thisclose to having the second longest chain though! I was so dissappointed in the last party I hatched, that had a mega able and a shiny but no shiny mega, that I accidently released them along with the 4 other plan ralts. For anyone interested, I can confirm that Hell has frozen over. It's about a two and a half, three hour drive away from me, but Hell, Michigan, USA, currently sits at a frosty -2 degrees Fahrenheit. And that is without the wind chill factored in. Two months away from this hunt being three years long and I just hatched a shiny immediately followed by a mega able...please hunt? Maybe you can give me just one shiny mega before the three year mark? I do not have to work again until after Christmas! Yay!! But as a retail worker, I deal with a lot. So far, everything I have dealt with has been pretty typical of last minute shoppers upset that they waited too long to start shopping and now won't get gifts they want on time or at lower prices. Most are understanding and blame themselves. But tonight I had a family that just takes the cake for me as the absolute worst this year before Christmas. I say that because I have not dealt with the people trying to return stuff yet. See comments for the story. #MyWishForChristmas is to have this shiny mega finally hatch! But for real, to enjoy time with loved ones and to enjoy some reading. Surviving another year working in retail while getting to enjoy time with family, friends and loved ones. 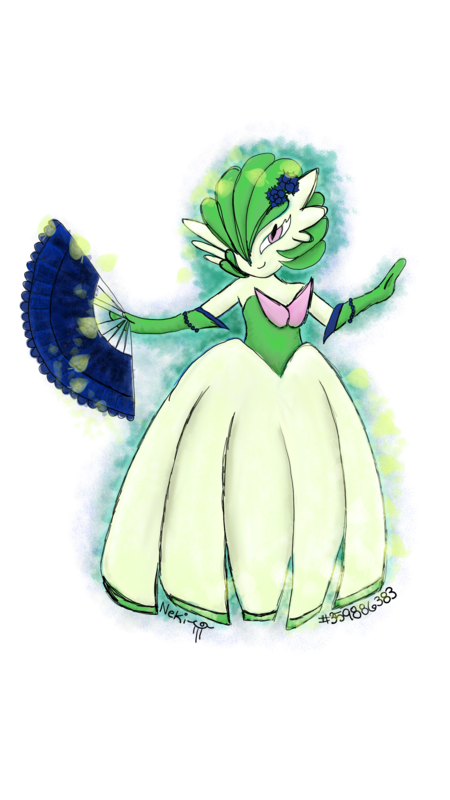 AuroraNightshade is currently hunting Ralts.